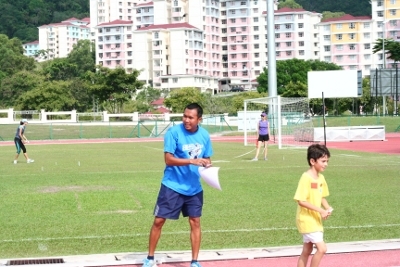 SCIPS Year 3 and 4 sport day at USM ground. 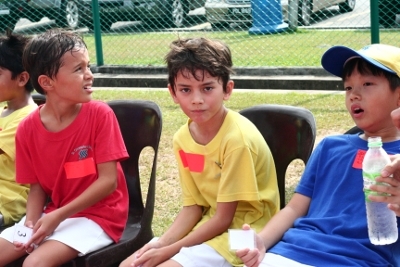 Children choose the races they want to try, as same system as the swimming gala. Arata entred 100M and 800M runs. He won the 100M (but all other runners were girls, for some reason). 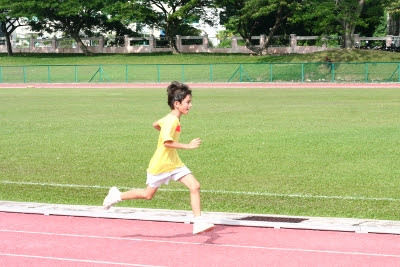 Then at 800M, he came in the second out of about 10 kids. The Korean boy who won 800M was well ahead, and Arata was in the second group. He just managed to keep his position at the goal as others kids tried hard to overtake him. The PE teacher shouted "Come on, Arata" from the goal just before the end, and he used his last remaining strength to cross the goal. Arata performed much better than I thought.